Before winter rolls in, make sure you are as prepared as you can be. Everyone always looks forward to the fall. The leaves are changing colors, the summer heat is no longer a concern and with school in session, we’re back to a regular schedule. Life is good. 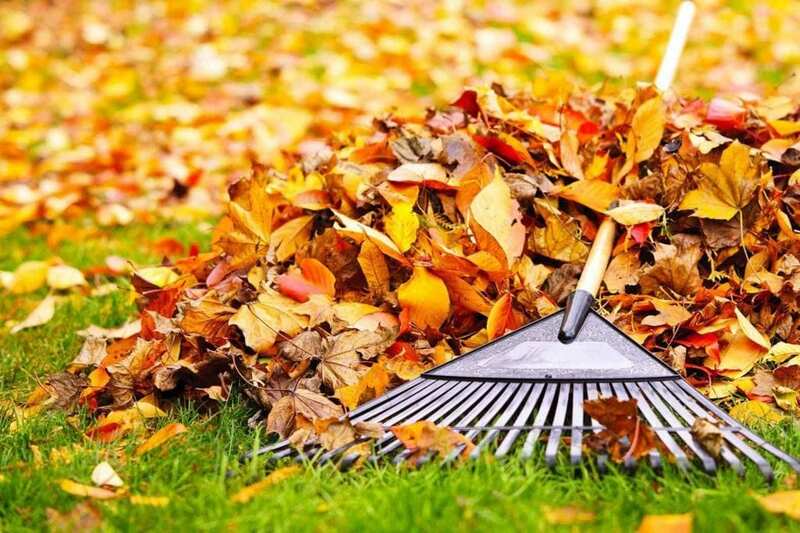 Just one thing… Fall clean up. 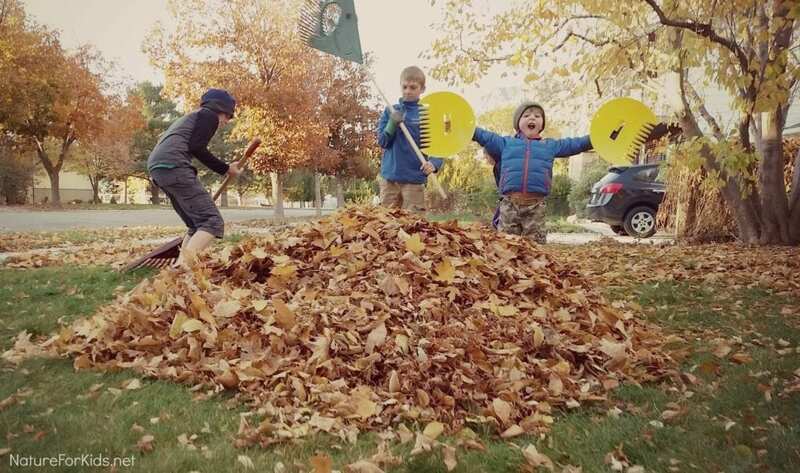 At LeafGuard®, we know that prepping for winter is not as fun as prepping for summer. So in order to make this season’s clean up a little bit easier, we’ve made a checklist to follow in order to make sure you’re ready for the next season coming. Winter IS coming. Boo. The first thing you probably want to do is take out the grilling grate and flavorizer grills. Get yourself a stainless steel grill brush and get scrubbing. It’s probably a good idea to soak the grates in a bucket of soapy water. While your grates are soaking, clean out the cook box. Using your grill brush and/or rag, scrub the built-up grease and debris into your grill’s bottom tray. Before winter rolls in, make sure you are as prepared as you can be. The winter winds are unforgiving and if you are not prepared you will feel it your bones and in your pocketbook. Windows and doors are the obvious places to look first. Get yourself to your local hardware store, pick up some silicone caulk and get to work. 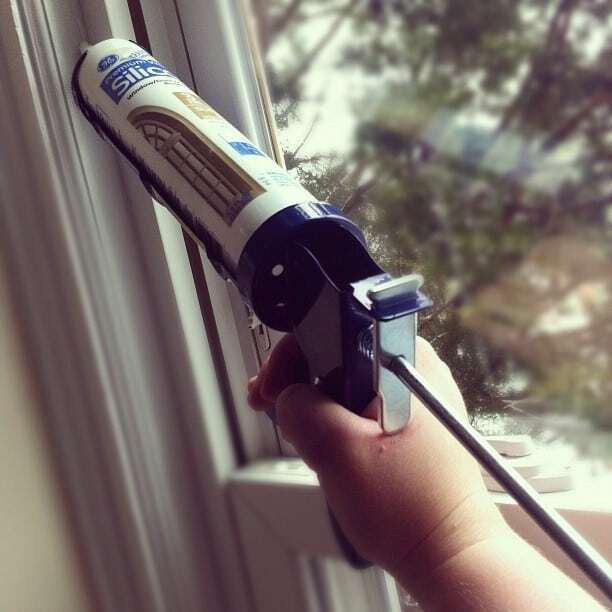 For older windows, it might be a good idea to seal them with plastic. Window kits are cheap but effective. If the Farmer’s Almanac is correct, this winter could be extra brutal. 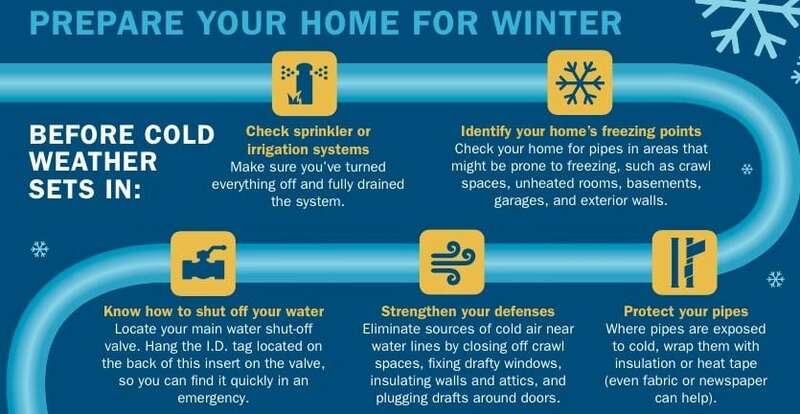 Make sure you double check your home for pipes that could be at risk of freezing. The most obvious place to look is the water line that connects to your outside water spigot. Make sure your outside faucet is drained properly and if you do not have a freeze-proof spigot, add some insulation to your piping closest to the outside of your home. It won’t be long before you’ll need to kick on the furnace. Make sure it’s ready to go. You may be able to do it yourself. We can all make sure a new filter is installed, but you might want to play it safe and have a professional give your furnace a check-up before you increase its workload. Your furnace is one thing that you do not want to have to replace, so be nice to it. Trim your bushes and hedges. Mulch or cut your grass a bit shorter. Plant any bulbs for spring. Once your grill is cleaned and put away, it’s time to make sure your patio furniture is retired for the season, too. Whether it’s a simple table and chairs or a comfy outdoor sofa, make sure to take care of it before the elements get a hold of it. And since you’re putting it away, you might as well give it a good cleaning. Plus, think of how nice it will be next spring! Another important winter prep item is to check your home’s insulation and energy efficiency. Give us a call at Home Solutions of Iowa and we can perform a home energy evaluation, which will allow you to determine any problem areas and have the opportunity to correct them before the cold weather moves in.